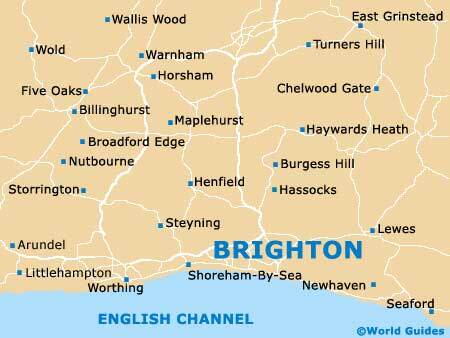 There are a number of popular markets spread around Brighton and Hove, should you fancy some genuine local produce, arts and crafts, and gift ideas. Sandwiched between Ditchling Road and London Road, the Open Market enjoys a lengthy history and began its life here in 1926, when barrow traders from all around East Sussex gathered to sell their wares. Brighton's Open Market saw the arrival of official stalls in the late 1930s and has recently enjoyed a huge injection of cash, with a grand redevelopment plan designed to regain its popularity and ensure its future. Improvements include a covered area, more than 40 permanent stalls, around 90 units for traders, workshops, street entertainers and seasonal entertainment. Of note, this market is now run by a 'Community Interest' company. The Flea Market is located in the Kemp Town area of Brighton and comes with more than 60 stalls selling an enormous range of market goods, such as antiques, furniture, books, second-hand clothes, ceramics, paintings, collectors' items and much more besides. Those arriving by rail will be pleased to learn that the Brighton Train Station is close by. 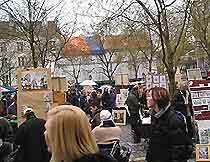 Greenwich Village Market is located in the North Laine area of Brighton and enjoys an indoor setting, meaning that it is a good wet-weather attraction to bear in mind. With many colourful items from Asia, such as clothing, saris, stylish jewellery, furniture, statues, paintings, food stalls and many items from India, Greenwich Village usually attracts large crowds, come rain or shine. 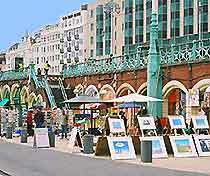 Open Market is situated in central Brighton and was founded in the early 19th century. This is one of the most historic markets in the area and is partly covered. Shoppers should expect lots of stands selling fresh fruit and vegetables (including organic produce), meats, fish, cheeses, eggs, plants, flowers, hardware, ornaments, fabrics, gifts and hot snacks, such as burgers, pasties and sausage rolls. The centrally located and aptly named Sunday Market is full of bargains and is home to numerous stalls selling music, CDs, antiques, furniture, second-hand clothes, fabrics, fresh fruit and vegetables, meats and general bric-a-brac. Together with a large number of car boot traders, visitors will also find refreshments and seating areas.